What an adorable story! This was my first book by Catherine Ryan Hyde and I will definitely be picking up more of her work in the future. The story was touching, the characters were relatable, and I was so sad to see the story end. I want more Allie and Bea! I started reading late one night and ended up staying up until I finished it. I'll be honest, I thought it was going to be just another cutesy contemporary, but it was so so much more. Bea is a widow who recently ran out of funds. 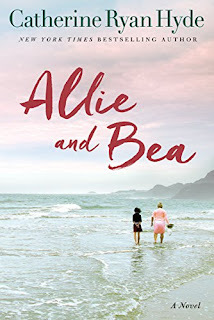 She's on her own in her van when she comes across Allie in the middle of the road, a young girl who has just been placed in the foster system after a dramatic change in her life. Two unlikely characters are forced together, and they begin to learn things from one another whether they want to or not. Both ladies have something special about them that really draws the reader in and makes them so incredibly likable. 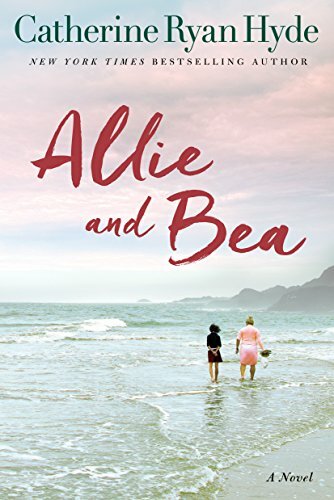 Allie and Bea is a funny, touching, and thought provoking novel about two unlikely friends. It is filled with laughs, a few tears, some moments that really make you stop and think, and lots of love. I truly enjoyed the story and look forward to reading more novels written by Hyde. I would highly recommend this novel to someone looking for a fun summer read!